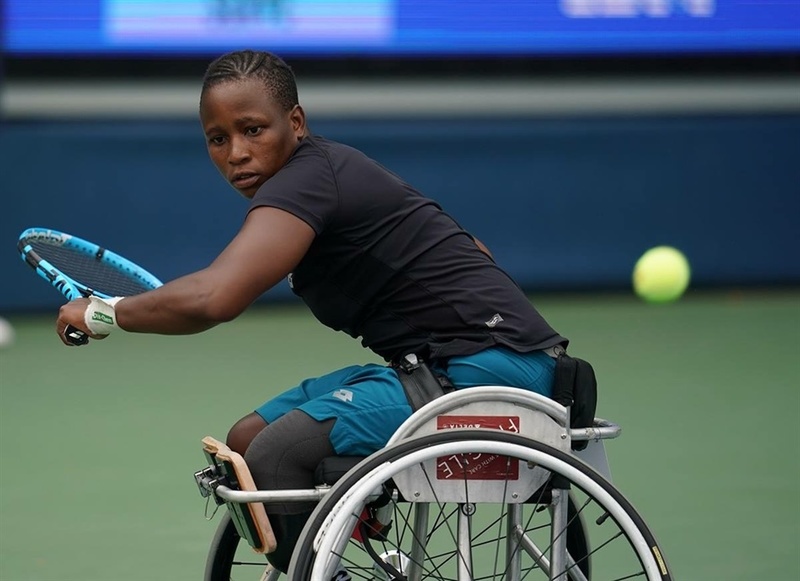 South Africa’s highest ranked wheelchair tennis ace Kgothatso Montjane moved back into the world’s top five on Monday after reaching the semi-final round at the US Open Grand Slam in New York, USA over the weekend. The 32-year-old took another step forward in her career when she impressed at the last Grand Slam of the year in Flushing Meadow with a breakthrough performance edging out world number 8 Lucy Shuker from Britain to reach her first semi-final round to climb another rung up the ladder in the International Tennis Federation (ITF) world rankings. The Limpopo-born star was ultimately stopped by Japanese second seed Yui Kamiji in the last four, going down in a straight sets 1-6 0-6 defeat. “So exciting to be back amongst the top 5 players in the world!” said Montjane on arrival home from New York. Montjane reached the number 5 ranking in 2013 just 8 years after she took up the sport. The left-hander who was born with a congenital birth defect has also earned praise and admiration for her fighting spirit at Wimbledon reaching the semi-final round and becoming the first South African black woman to play in the grass court event this year in July. She cruised through to the semi-finals in the all-white event, defeating Katharina Kruger of Germany in the quarter-finals, to set up a mouth-watering tie against Dutch world number 1 Diede de Groot. However, De Groot had too much for Montjane in the semi-finals, defeating her 1-6, 5-7. Today South Africa celebrates the star for putting on some unforgettable performances reaching at least semi-finals in two of the four slams this year.